On Wednesday, April 3, Kellex Seating again showed their generous spirit and commitment to Valdese Lakeside Park with a second all day work session at the property. Thirteen employees spent the day at the park cutting and hauling down and dead trees from what will be a kayak launch and picnic area in the future. The debris was taken to the Valdese Waste Water Treatment Plant where it will be shredded into mulch. 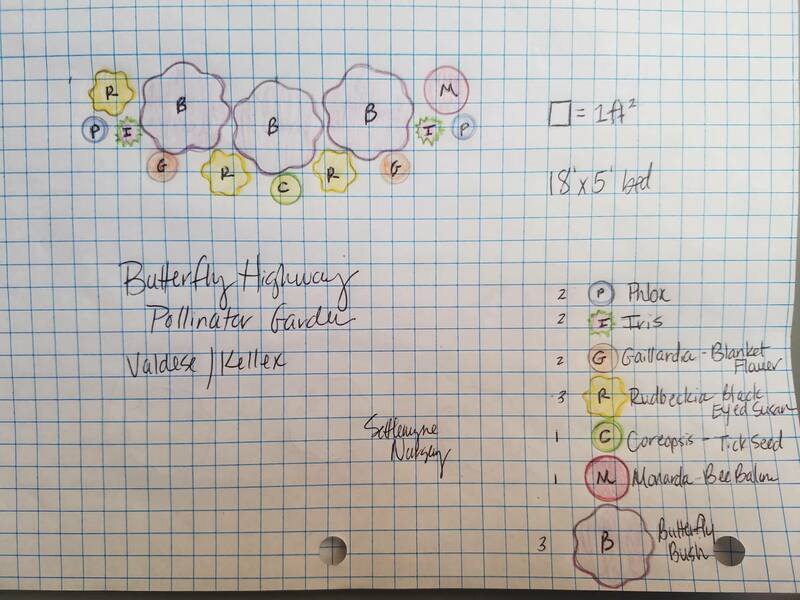 Also, during the event, Kellex created a pollinator garden that will be a part of the NC Butterfly Highway with native plants that will attract butterflies, bees and birds. Kellex’s early support of the park was instrumental with a $100K pledge to the land purchase and amenities. Settlemyre Nursery designed the Butterfly Garden using native pollinator plants. They also stopped by the morning of the work day to make sure plants were in the proper position and that everyone knew how to plant! Catawba River Wildlife Coalition and Friends of the Valdese Rec split the cost of the plants and mulch. Kellex Seating provided the manpower.